Includes DC component collection boxKITCHEN collection. You can also install BoxUp directly from Extension Warehouse. You can also use one-click installation in Sketchup Extension warehouse. The license subscription for BoxUp 2019 covers one year of updates and support. The License includes 1 activation, and can be deactivated and moved to another installation if needed. 1. 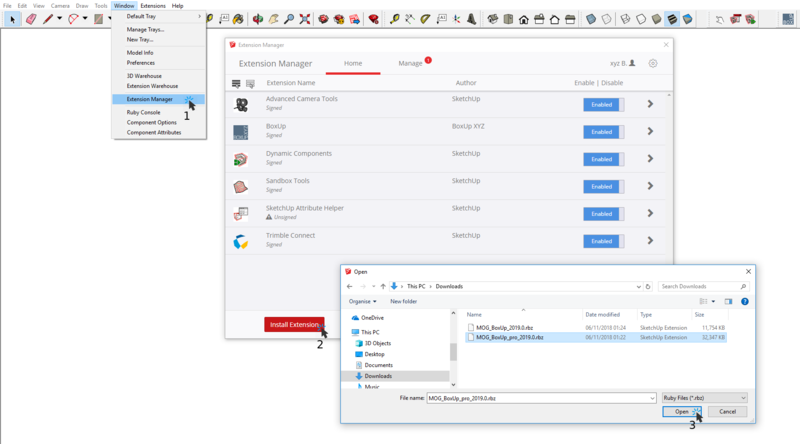 In Sketchup open menu Windows -> Extension manager. 3. Find the extension file you have just downloaded and select it. 2. 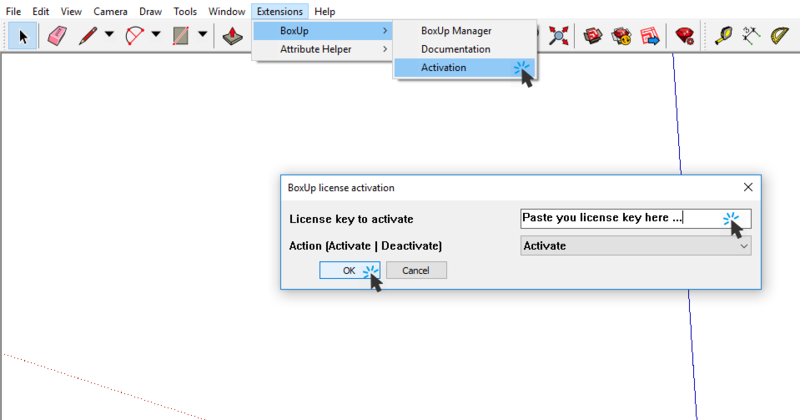 Copy paste your license key you have received in the confirmation e-mail.